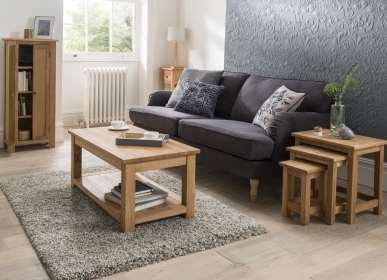 The HS Range: A country oak range with a smoke, matte oiled finish. 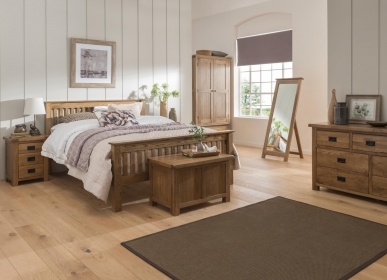 The HS range exudes feminine elegance with a hint of country house charm. 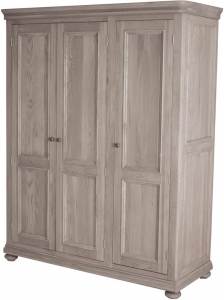 Constructed from oak using traditional techniques, the range is then finished by hand with a smoke, matte oil. 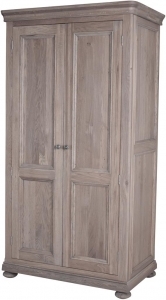 This allows the natural grain of the oak to peek through and gives the furniture a warm feel. The unique bun feet and turned legs, as well as the pewter-effect handles, make this range sophisticated yet relaxed. 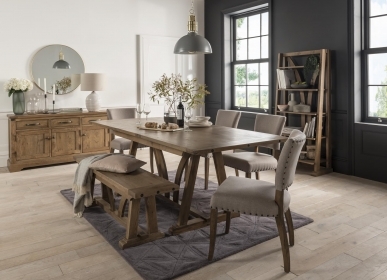 There are both bedroom and dining pieces in the HS range. 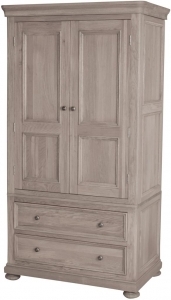 The beading detail around the drawers and doors add depth to the range. The pewter-effect knobs with concentric circle grooves give the furniture a modern flair.